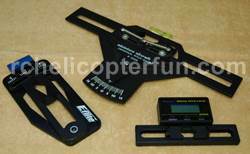 There are a number of special RC helicopter tools and supplies that you will need in order to build and maintain your RC helicopter/s. This write-up is geared more towards larger RC helicopters (bigger than micro size). 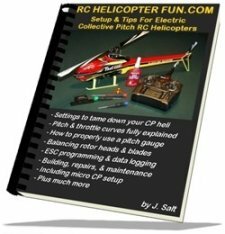 Most micro helis (coaxial, FP, CP, as well as the RTF Multirotors) certainly don't require many of the tools that the normal and larger collective pitch machines, or the true hobbyist grade multirotors that you have to build do require. 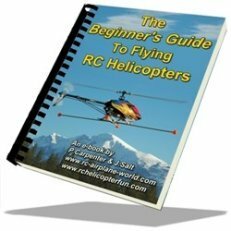 For normal size CP helis however, this page will show you some of the basic and not so basic tools needed in this hobby to better prepare you. I have provided links to many of the tools so you can further read up on them and get an idea of costs, or need to order a particular tool/s. Don't get overwhelmed by looking at all the tools in the above photo. This is the accumulative result of 25 plus years in the hobby. When starting out you will only need a fraction of what's pictured here, but I will go over most items. The photo below is a more realistic representation and shows almost every tool you'll need when first starting out. 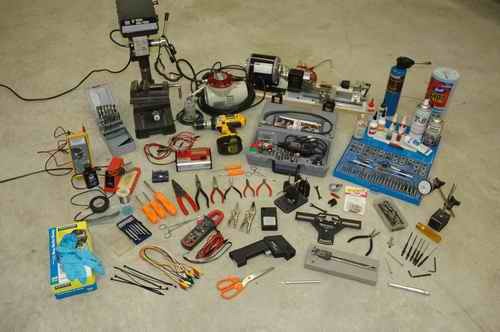 Even if you get a ready to fly heli - you will still need many of these tools for future repairs, maintenance, and adjustments. There are must have tools, and nice to have tools – as the years go by, you will slowly accumulate the “nice to haves”. Many of these RC helicopter tools you may already have kicking around in your work shop or tool box, especially if you are already into some type of RC hobby; but there are a few specific RC helicopter tools that you'll probably still need to get, some of which you may not even know exist and what they are used for. Don’t feel you have to get the very best tools on the market. 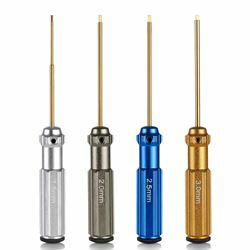 Over time you will soon find out what RC helicopter tools you use the most and as they wear out, you can then replace them with higher quality tools. A Helicopter Pitch Gauge is essential to correctly set the pitch angle and range of pitch on your main rotor blades on collective pitch RC helicopters. It is one of the most important RC heli specific tools you absolutely must get if you are getting into collective pitch. You can get basic ones, but I personally really like the digital pitch gauges because they are so easy and fast to use & they work on 250's all the way up to 800 size helis. The Dubro Balancer Pictured above & left is an amazing "must have" RC helicopter tool. I have used it for main and tail rotor balancing on all sizes of helis, engine cooling fan balancing, airplane propeller balancing, RC car and truck wheel balancing, and of course Multi/Quad rotor propeller balancing. It offers such great value since it can do so much for under $30.00. There are stand alone rotor blade balancers, but you can't check the whole head or use them for all the other aspects of RC Balancing that the Dubro provides; not to mention they are not as accurate as the Dubro. 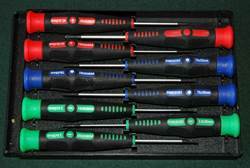 An assortment of metric Hex/Alan Drivers for the many hex bolts and set screws found on RC helicopters. Most heli kits don't come with Alan keys anymore and if they do, they are usually poor in quality, made of soft metal and round off or strip out very easy. This not only makes the tool useless, it also damages the hex set screw or bolt - very frustrating! The sizes you use most often on a heli are usually 1.5, 2.0, 2.5, & 3.0 mm. 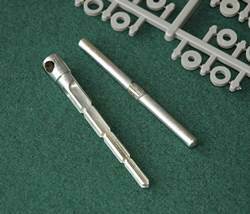 The best advice here is to start with a decent quality basic set with hardened ends like the Neewer set shown here. Ball end metric hex drivers can also come in very handy in this hobby. The end of the hex is actually ball shaped; this allows you to come at the hex bolt/screw at a slight angle. On some builds, these balldrivers can be a huge time & frustration saver! About the only drawbacks with the ball ends is they don't "hold" the screw like the normal ones do (not good for set screws). 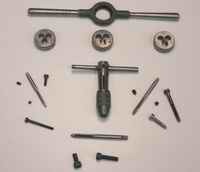 They can also round out the hex head if the bolt or set screw is seized. 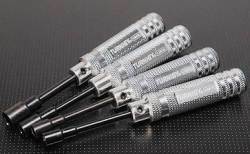 I find I use both the ball and normal hex drivers about equal amounts during a build/maintenance/repairs, but if your budget only allows one type for now, get the normal ones as they will serve you the best. A basic set of metric nut drivers also comes in handy if you don't already have a set of small metric sockets. The nut sizes most commonly found on RC helicopters (RC in general actually) are 4.0mm, 5.5mm, 7.0mm & 8.0mm. 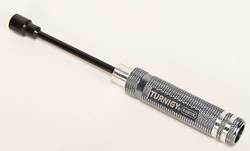 I'm sure most people already have a basic screw driver set such as shown here but I figured I better mention it. On RC helicopters, you mostly find Phillips Heads, but you may come across flat head, and rarely Torx. 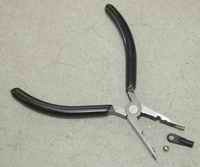 Ball Link Pliers - Okay I admit I got by for years without this tool. I used needle nose pliers instead. I damaged so many ball links and balls, I spent more money on replacing them than the pliers cost, not to mention the frustration - don't make the same mistake I did. 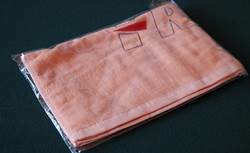 Assembly/Repair Towels for how little they cost (or are even included in some kits) are wonderful things to have. They are not really a tool; but once you've built or worked on a heli with an assembly towel underneath to catch screws, bolts, washers, setscrews, or any other little items that otherwise bounce and roll off the bench or table into the dark abyss below; you'll never want to be without one again. Another option is a rubberized hobby bench mat. The nice thing with them is you can get solder, glue or paint on them and it's easy to remove. They just wipe clean when you get grease, oil, or Loctite on them as well. Some even have nice little recessed pockets along the edges for screws and such. The one main draw back with these mats is being dark in color, small dark parts such as hardened set screws/bolts are hard to see on them. Swashplate Leveling Tools - These tools are very important for setting up a 120 degree CCPM swashplate correctly and leveling it. This is even more important these days with flybarless systems as the swash has to be more or less perfectly level when you register that neutral position in the FBL unit. I have an eBook on Swash Setup that shows how to build your own swash tool as well, but these purpose designed tools work the best, are the easiest to use, and are the most accurate. They come in all sizes for different rotors shaft diameters. The Align one I linked too above covers 10 & 12mm rotor shafts (500 to 800 size Trex Helicopters). Glow Plug Wrench (long reach is nice on RC helicopters) - Only needed for nitro powered birds. If you fly electric powered RC Helicopters, you're going to need a decent computerized charger (sooner rather than later). If you don't know what to look for in a charger, that link above takes you to a full write-up I've done on these things. I also have a write-up on the power supplies that you usually need to power them with. 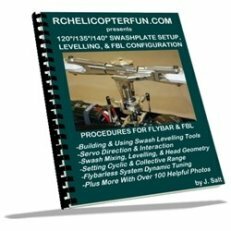 To save on page download time, the rest of the must have RC helicopter tools listed don't show photos since I'm sure you know what they look like and likely already have most of them. Instant CA glue - I find medium thickness the most universal. I like Mercury Adhesives CA glue the best after trying many brands over the years - great no clog tips/caps. 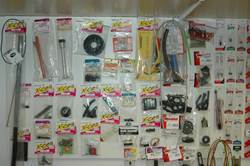 Okay, now we get into the stuff you might not need in order to build or maintain your RC helicopter/s, but most of this stuff will make your life easier once you get it; or you may find you do actually really need it as you advance in the hobby. I've listed it more or less in order of importance. The first few top items in fact could almost be consider "must haves" so there is a bit of gray overlap area here between must & nice to have depending on the person and what they fly. 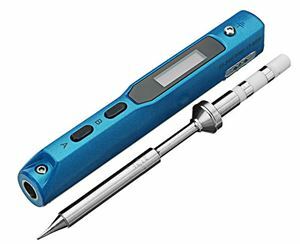 TS-100 Digital Soldering Iron - One of the best soldering irons for our hobby. These can be considered a must have if you are into electric RC flight, or any other electric RC discipline for that matter. Soldering is a big and important enough topic that it deserves it's own page. 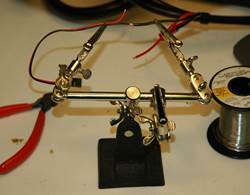 On that page, I cover all sorts of RC soldering topics from the most common beginner soldering questions I get, right up to equipment and solder recommendations best suited for the hobby. This video I made may also answer a few beginner soldering questions. 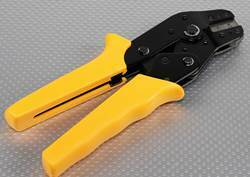 If you're going to be soldering wires, you are going to need a way to remove the insulation off the tips of the wiring - enter the indispensable wire strippers. There are various types of wire strippers from the "one size fit's all" types to the more common types that accommodate each individual gauge size such as pictured here. I like this style the best myself for the simple reason I find them more precise. No matter what type you choose, you need to get strippers that cover all the sizes of wire you end up working with. For my electrical RC needs, that can be anything from as small as 30 gauge that you see on some tiny servo leads or scale lighting systems, right up to 10 gauge on large electric motors, ESC's, and LiPo packs. I need two sets of strippers to cover that range. The smaller set covers 30 up to 20 gauge, and the larger set covers 22 up to 10 gauge. When soldering, I really find these "Third Hand" doo-dads (also called "helping hands") indispensable. You generally need both your hands while soldering; one to hold the iron or gun, the other to feed the solder. Using a third hand device to hold the actual wires, plugs, LED's, circuit board, whatever in position while soldering makes life much easier; also making cold solder/brittle solder joints much less likely. A small hobby vice is a very useful tool. There are many different kinds such as clamp mount that will clamp to a desk edge. Or ones with suction cups on the bottom that will stick to the bench/table top. Fastener mount vices are the other option that you bolt down to your workbench/table top - very sturdy for heavier holding. I personally could not live without a decent vice in the shop no matter what the mounting method. Digital Calipers or just regular calipers is another tool I feel is almost a must have in this hobby. I use mine all the time for measuring pushrod lengths, shaft diameters, bearing sizes, screw lengths, drill bit diameters, pitch slider centering on the tail shaft, spacer washer thickness, clutch liner thickness, swash height, servo wheel hole distances; just to name a few of the uses off the top of my head. I'm sure I could come up with at least another dozen or so just related to RC helicopters, and a magnitude of others or so for all the other things I use them for around the shop & house. Again, if you are into electric flight, a DMM (Digital Multi Meter) is a handy RC Helicopter tool to have allowing you to measure battery voltages, small current loads, and diagnose opens and shorts in wiring harnesses or circuits. You can certainly spend hundreds of dollars on good DMM's like a Fluke 87V; but you don't need anything that high quality for simple RC. If you want a much better meter, but not break the bank, one of best "bang for the buck" brands are UNI-T. The UT61E would be high on my list. Amazon generally has good pricing on UNI-T DMM's. Below is a video I made going over some of the basics of what I personally look for in a multi meter. It's an overview I did on the Fluke 17B+. 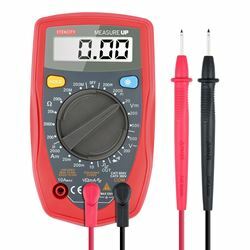 Overkill meter for the average RC hobbyist, but at 1/4 the cost of the Fluke the 87V, with many of the same functions, it's a decent value for a very good quality & safe meter. 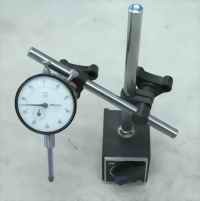 Metric tap-and-die set or at least 3 of the most commonly used sizes such as M3-0.5, M4-0.7, and M5-0.8. I personally feel this could almost be considered a must have tool. Again this is a tool that pays for itself over time. I show just how handy these tools can be in my Setup & Tips eBook. 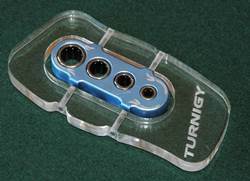 As I mentioned, you can order separate size tap's (which you will use more than die's), so don't think you have to spend a small fortune on a full set. That said, full sets are fairly good value, but much of what the full sets come with you may never use (at least for RC). If budget is really tight, pick up a small metric M3 To M8 Tap set with T-handle. Then you can build your own customized sized set as time goes by. You likely already have a hot melt glue gun lying around; but if not, they are good RC helicopter tools and come in very handy for our hobby. I have used mine for tacking down wiring on board the aircraft, while making my own LiPo battery packs to insulate and secure the main & balance wiring on the connection tabs, making temporary repairs to micro RC helicopters, tacking high stress plug locations so the plug doesn't wiggle loose (moving FPV camera plug for instance), insulating/sealing custom built wiring harnesses, insulating/sealing exposed circuit boards, mounting some electronic control modules on-board the aircraft, etc. The great thing with hot melt glue is it sticks well to most things, yet can be fairly easily cut away if you need to remove it or heated back up to soften it. It's also a fast curing glue method. The one thing to be careful with however is the stringy spider web (what I call them) trailers that pull away from the glue gun. These fine glue stringers can and will get tangled in working components if you don't remove them after your glue job. May as well mention the good old heat gun since I just mentioned softening up hot glue for removal. 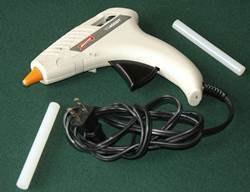 Yep, a heat gun is perfect for that task and for shrinking heat shrink tube. Heat guns are also useful to heat aluminum bearing blocks, blade grips, etc up to aid in pressed in bearing removal. I don't use my heat gun much anymore since I got that previously mentioned Aoyue 968A+ solder&rework station, but before that, I used my heat gun a fair amount in the hobby and do consider them a fairly useful RC helicopter tool. 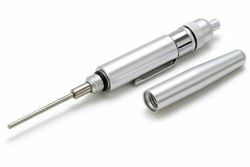 There are also mini-heat guns and if you are only going to be using a heat gun for RC/hobby type work, the mini type are perfect. 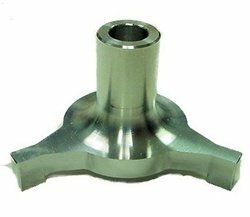 A Prop Reamer tool is not needed at all for conventional RC helicopters; but for Multi-Rotor, it's almost a must have RC helicopter tool if you use aftermarket propellers such as APC's MR series, Graupner E Props, etc., so you can correctly size the prop holes to the motor shafts. 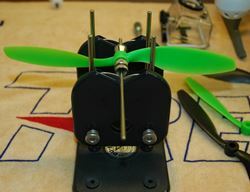 You may not need one and be able to get away with prop shaft spacers alone, but there is nothing more frustrating than ordering in a bunch of propellers for your multi-rotor only to find out the hole in them is too small to slide over the motor shaft. I removed the "T" handle that came with it so I can mount the reamer in the chuck of a drill making reaming out the prop hole go so much faster. A reamer is better than a drill bit since it maintains the hole's center point whereas a drill can wonder causing the hole to off-center in the propeller... Vibration city! 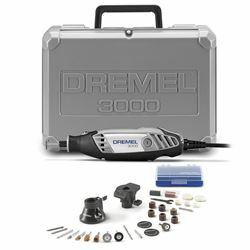 Dremel or similar moto-tool with accessories. Not much to say here... After you have and use one, you won’t know how you lived without it. For scale RC helis it's an absolute must have! I could not build a scale heli without this tool. 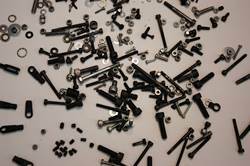 An assortment of metric screws, set screws, nuts, washers, ball links and balls. These little guys seem to always fall off the work bench into another dimension, get striped out, wear out, or just need to be replaced from time to time – spares come in very handy. 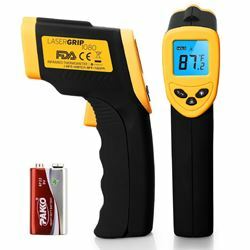 These handy Infrared Laser Thermometers are useful for much more than RC as I'm sure many of you know and very likely already have one in the old tool box - especially now that they are so inexpensive. 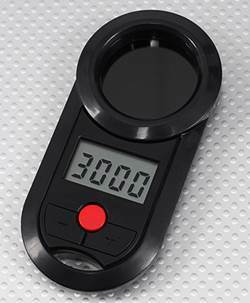 Great for checking the temperature of your LiPo packs, motors, ESC's, servo cases, engine head temps, etc. I payed over $100 for my Raytek one several years ago, and I honestly don't find it any better or more accurate than these new ones you can pick up for under $30 bucks! I find these pen sized Precision Oilers very handy. I mention just how well they work in my Setup & Tips eBook in the lubrication section. Beside the precise and mess free application, you can fill them with your particular favorite liquid lubrication for any application and they don't leak. Ball End Drivers (also called ball link wrenches) really save the old finger and thumb when you are threading ball links onto the ends of all the pushrods on a RC helicopter build. 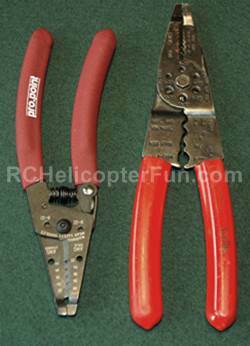 Before I got these RC helicopter tools, I used to use a small crescent wrench. It worked but not as fast or as easy. Still, it's a good option to use when your thumb & finger can't take the pain of threading one more single ball link. 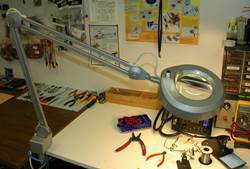 I also really enjoy my desk mount magnifying work lamp in this hobby. Kinda could not live without it lately as the 50 year old eyeballs have an increasingly hard time seeing small stuff up close. It serves a double duty workload proving both light if you only want to use it for that, and or magnification. I can move it up high overhead the bench to provide a nice amount of direct down lighting (or any angle I choose); or I can move it close in, using the large magnifying window to see those tiny parts better while soldering or assembling. A head axle/feather shaft wrench is a great RC helicopter tool to have when one of the blade grip hex bolts is stuck in the head axle shaft. I used to wrap the axle with a few winds of electrical tape and then grip it with vice grips which works fine; but using this tool with the one way bearing to grip the axle is faster and safer for the axle. This particular one fits 5mm, 6mm, 8mm, & 10mm axle/feathering shafts so it's for larger helicopters. An optical RC Helicopter Tachometer is something you need to confirm how fast your rotor is spinning. When you are first starting out, you generally don't need one, but it's something that you eventually may want to invest in. If your ESC has an RPM data log feature or governor, you don't really need one, otherwise - they come in handy. I actually had to use mine this past week while setting up a customers SAB Goblin Fireball to confirm the ESC that came with it was programmed to give the correct governed head speeds. I really like this style I have pictured because the optical shutter window is nice and big and it covers a wide range of RPM's. Way better than the mechanical rotating shutter type I have - cheaper too! Here's an RC helicopter tool I really enjoy. 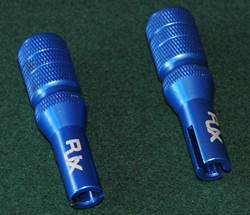 A Crimp Tool specifically for RC servo and other small plug connectors. If you want to save a good deal of money by making your own custom servo wiring harnesses or other harnesses that need to have the pins in the plugs crimped onto the small wires. These tools pay for themselves quickly not to mention make a tedious job go quickly. It's another one of those tools that I got along without for years but after getting one, would find very hard to be without. 8" bench sized drill press and drill press vice. 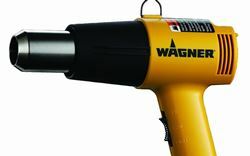 A much more accurate way to drill holes in everything from servo wheels to engine mounts. 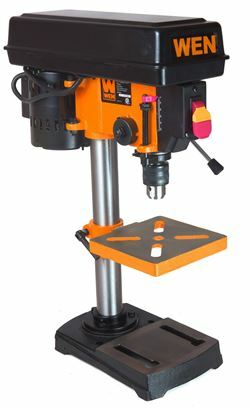 If you are into RC fabrication of any sort, you'll find a drill press indispensable. Stereo microscopes such as my Amscope SM series 7-45X zoom stereo microscope seen here are one of those tools you never even considered important, that is until you get one. I find this scope almost as useful as my magnifying lamp. 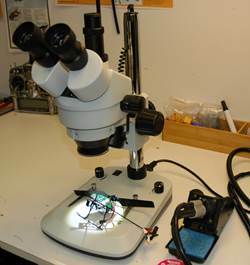 A stereo microscope is pretty much an essential tool if you are doing any amount of SMD electronics soldering/rework or even small parts inspection. Close up inspection of small micro helis like I have on the stage in this particular photo, is an easy task with a scope like this. The micro servos to the SMD circuit board components are easy to see and even repair if you are so inclined. Amscope gives you so much microscope for the price and they are one of the favorite brands for budget minded electronics hobbyists world wide these days. The SM series is so adaptable and modular. Most serious electronic hobbyists like the SM series dual sliding arm bases with down lighting only, but I chose this less expensive fixed and dual illuminated LED SM series base for more versatility to use it as a biological inspection scope as well (the selling feature to the wife as she uses it for that). If I had large mother boards to inspect and way more bench real estate, I may have opted for the arm type, but I didn't figure I needed anything so big for what I needed to work on and view. Nice thing with the Amscope SM series is I can always get the arm base down the road. 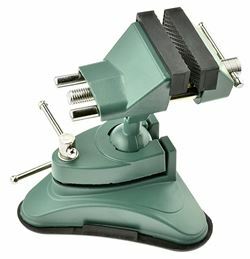 Another really popular great value Amscope stereo microscope for basic electronics work & small component inspection is their SE-400 series. After using a zoom stereo microscope in my lab days however, I figured getting the zoom feature over two fixed powered objectives was money well spent. Hard to believe quality scopes like this are now so reasonably priced that even hobbyists can now have them on our work bench. Dial indicator with a magnetic or clamp base is almost essential for fuel powered helis to ensure the fan hub has next to zero runout when mounting it on the engine output shaft. Great for planes as well to see if the motor/engine shaft is bent even the slightest amount after a crash. A dial indicator with 0.001" resolution is adequate I find. Okay, they are not exactly RC helicopter tools; but having replacement RC Helicopter parts on hand for repairs is very convenient when you don't live near a good hobby shop. This is something that just comes with time and experience of what wears out or breaks often on your specific birds. After a while, you'll know what parts to stock but as I've said many times; no matter how well stocked you are, Murphy's Law often prevails and you'll still need a little part you never even considered. In short, don't sweat it and don't try to get every part going. I've actually run into the situation where I have so many parts on hand, I sometime don't realize I have the part I'm looking for and still end up ordering it when it's staring me in the face - DUMB! Considering that last point... A Small parts bin or organizer to keep all your heli bits organized and easy to find. 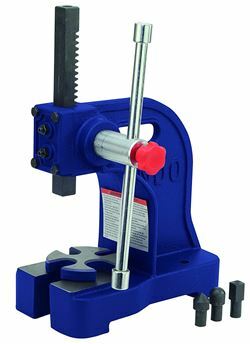 A small 1/2 ton arbor press can come in handy in our hobby for pressing bearings in and out of bearing blocks, blade grips, one way auto rotation hubs, electric motor housings, nitro & gas engines, clutch bells, etc. They can also be used for straightening bent shafts, and other bent parts. Pressing press fit parts such as gears onto motor shafts, or swashplate haves into the swash bearing can also be accomplished. Naturally, a small press like this is not needed at all for micro sized helicopters. 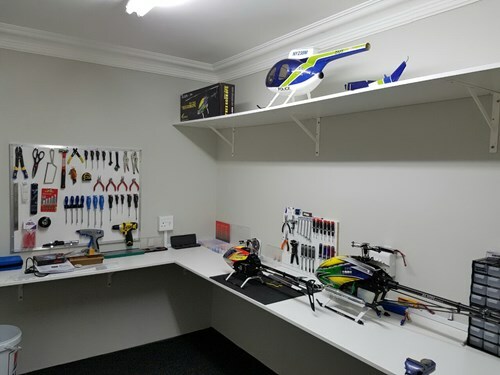 A tool peg board and associated hardware is useful if you want all your rc helicopter tools and/or larger heli parts handy while clearing up precious bench real estate. Small air compressor with air brush kit and blow gun - these are not only handy for your prize winning custom paint job, but for general cleaning and drying of parts. Small Hobby Ultrasonic Parts Cleaners are great for cleaning small parts; but I had gotten by without one for years and honestly don't use it much. My wife has basically taken it over for washing her rings and earnings in which it does a great job at I might add. I do however use my larger bench size solvent parts cleaner a fair amount. Much more often for fuel powered RC stuff, bike parts, and just about every other greasy part in the garage. You don't really need one for RC, but I had to mention it because I do use it. Mini Hobby Lathe - since I got one, I have machined my own custom parts for my RC helis and cars (and many other things). The main thing I find I use the lathe for with RC helicopters is checking shafts (main, tail, blade grips, engine, fan hubs, clutches, clutch bells – you name it) for run out with a dial indicator. No more guessing what shaft might be bent after a crash. If the bend is not bad, I have even been able to straighten some shafts to within ½ thou of an inch run-out. Machining clutch bell liners is also another very useful task I have used mine for on both cars and helis. Well, hopefully this helps you navigate your way around the "RC Helicopter Tool Topic." 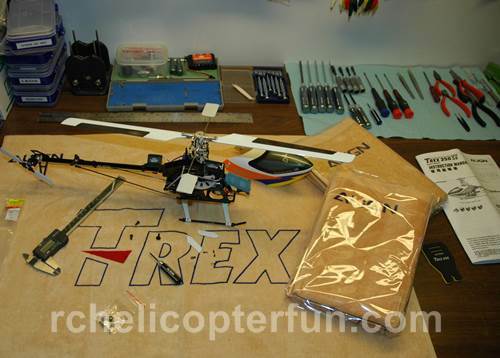 Just like I mentioned on the RC Field Box page, over time you'll probably find a few other tools and supplies that come in handy or need for your specific helicopter/s. I made contact with you last month about how great your site is and I use it daily. I have taken your advice on tools needed and have attached a few pics of my Heli workshop.